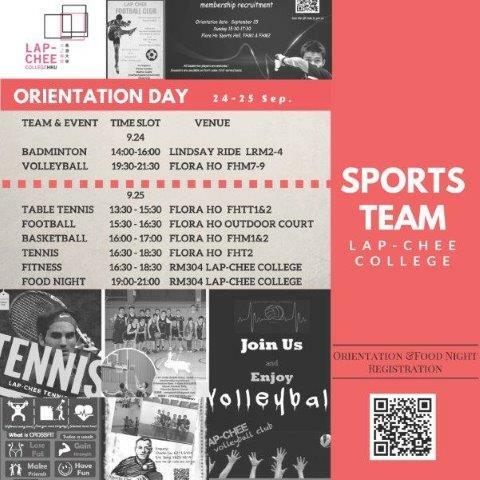 We (Lap-Chee Sports Team Committee) would like to invite you to join our Lap-Chee Sports Team Orientation Day on September 24th and 25th. We have in total 7 different sports teams such as Basketball, Football, Volleyball, Badminton, Tennis, Table Tennis, Cross-fit. The detailed arrangements for each team’s time slot can found on the Orientation Poster! Please be reminded the time and venue of Badminton and Volleyball team orientation event have been changed (see below the updated orientation poster).